When hunting prey, dolphins have been observed to blow ‘bubble nets’ around schools of fish, which force the fish to cluster together, making them easier for the dolphins to pick off. However, such bubble nets would confound the best man-made sonar because the strong scattering by the bubbles generates ‘clutter’ in the sonar image, which cannot be distinguished from the true target. Taking a dolphin’s sonar and characterising it from an engineering perspective, it is not superior to the best man-made sonar. 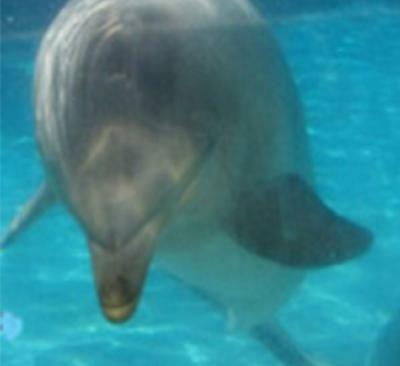 Therefore, in blowing bubble nets, dolphins are either ‘blinding’ their echolocation sense when hunting or they have a facility absent in man-made sonar. The study by Professor Tim Leighton, from the University’s Institute of Sound and Vibration Research (ISVR), and colleagues examined whether there is a way by which dolphins might process their sonar signals to distinguish between targets and clutter in bubbly water. In the study, published in ‘Proceedings of the Royal Society A’, Professor Leighton along with Professor Paul White and student Gim Hwa Chua used echolocation pulses of a type that dolphins emit, but processed them using nonlinear mathematics instead of the standard way of processing sonar returns. This Biased Pulse Summation Sonar (BiaPSS) reduced the effect of clutter by relying on the variation in click amplitude, such as that which occurs when a dolphin emits a sequence of clicks. “We know that dolphins emit sequences of clicks and the amplitude of each click can vary from one to the next, so that not all the clicks are the same loudness. We asked, what if this variation in amplitude was not coincidental, but instead was key to distinguishing fish from bubbles. “These clicks were shown to identify targets when processed using nonlinear mathematics, raising the question of whether dolphins also benefit from such mathematics. The variation in amplitude of these clicks is the key: it produces changes in the echoes which can identify the target (fish) in the bubble net, where man-made sonar does not work. BiaPSS was shown to be effective in distinguishing targets from the clutter generated by bubbles in the ‘field of view’ of the sonar. One such target is a sea mine, which is relatively simple to purchase, and inexpensive (around $1,000 each) compared to the financial damage (let alone injury and loss of life) that they cause (for example $96 million repair to USS Samuel B Roberts; $24 million repair to USS Princeton; $3.6 million to USS Tripoli). Watch a video of Professor Leighton talking about the research here.